February might be the shortest month of the year, but it’s long on national events, it’s rich in history, and it tastes like chocolate! 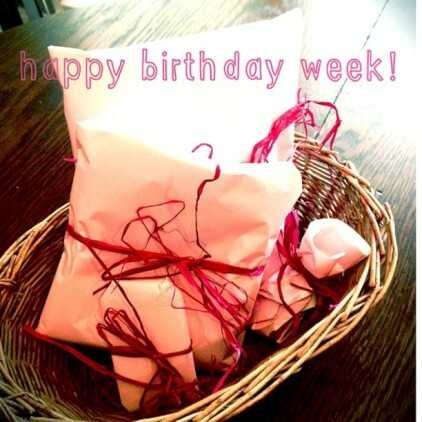 There are lots of ways to save this month, you just have to know what to buy when. 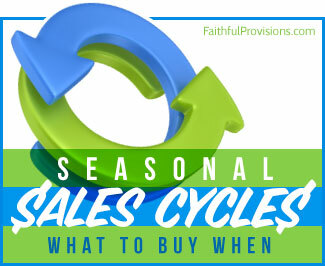 Remember, it pays to know your sales cycles. There are certain items, however, that only go on sale in February. These sales won’t cycle around again until next February. It’s important to know how to budget so that your purchasing dollars are ready to stock up on these items—buying enough to last you over the next twelve months. Here are the items to celebrate in this month of hot breakfasts, healthy hearts, and hip presidents. Valentine’s Day will provide us with tons of sales on chocolate. For the best prices, do your shopping on February 15th! Plus, buy Valentines for next year! February is also National Canned Food month. Stock up on canned goods at some of the best prices you’ll find all year long. You’ll find all types of Chinese food on sale because it’s the Chinese New Year. Avocado — Learn How to Prepare an Avocado HERE. Cabbage (Not a cabbage fan? You might like my Bierocks (Cabbage and Beef Pockets), my Cabbage Salad with Apples and Ginger Vinaigrette, or my Cabbage Soup. Presidents’ Day Sales — Some call Presidents’ Day the “Black Friday of February.” Don’t miss the chance to get rock-bottom prices on all winter clearance items. Electronics. This year, heading toward Superbowl Sunday on February 5th, you’ll find super deals on HDTVs. Indoor Fitness equipment. Find these on clearance now. Stores will soon be stocking their outdoor fitness equipment for spring and summer activities. Bicycles. You can find a sweet deal on last year’s models now, before the new models come out later this month. The iPad 2. Rumor has it that an iPad 3 will come out at the end of February, so there will be much better deals on the iPad 2 then. Grills/Patio Equipment. You’ll want to wait until Memorial Day for these items. Do you have any tips or sales you look forward to in February? Please share them in the comments below. If you liked this post, please share it on Facebook! Tangelos are also in-season in the January/February time frame. I grew up in South Florida and tangelos are by far the best citrus fruit out there. It’s a cross between a tangerine and a grapefruit – sweet, easy to peel, only 1 or 2 seeds, and super juicy. Thanks, Shannon! I love those too! I just found your website and I love it! I read your last devotional (thanks for sharing). AARP has the online driver safety class for $5 in February. Many insurance companies give older drivers a discount on their insurance if they take this class. Normal price for this class runs between about $16 to $30 depending on where you live. Insurance companies require the class to be repeated every few years to continue getting the discount.